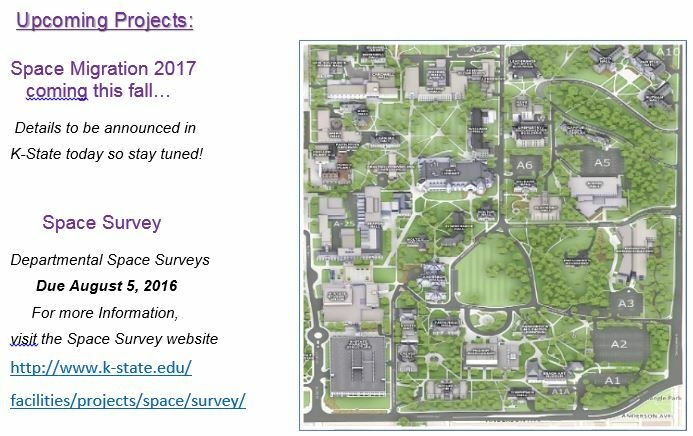 Several space migration projects have been completed over the past year which will provide multiple opportunities to bring departmental units together. Some might be wondering when the relocations will happen and who is moving where. You can find these answers and more on the Space Migration website. Detailed floor plans have been provided online to show what areas are affected by the space migration project. 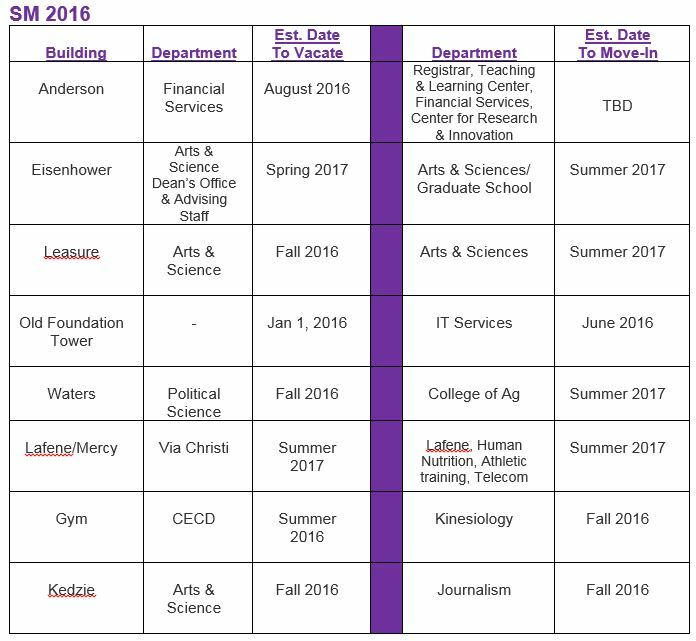 The goal of this process is to assist the university in reaching its long range goals and advancing the K-State 2025 Plans. 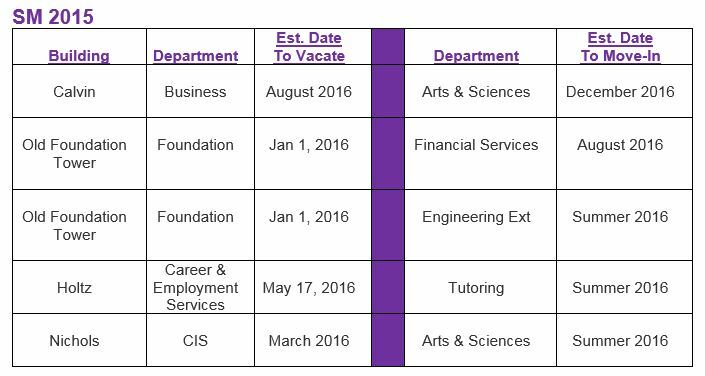 See below for the relocation Schedule Overview.